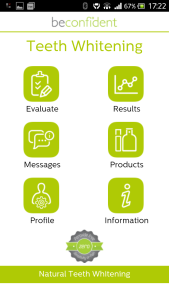 Beconfident provides over-the-counter products and associated apps. The apps help customers use the products effectively over time, providing advice and showing results. They also serve as entry points for buying products online. The apps are mostly Web-based, but with native apps that make them installable, as well as provide local phone functionality, like taking photos, determine phone platform etc. Abiro developed the apps and service, as well as acted system administrator. The work started October 2014 and more work is being done.